There is something deliciously charming and endearing in listening to Mélanie Pain's sweet and delicate voice throughout her stylish mellow pop songs. 'What I do is English Pop in French (and sometimes in English as well!' she told me during our interview. Of course, her cute appearance combined with her fragile and sentimental lyrics goes some way to explaining her ever-growing fan database. Truth be told, even if she were singing about the most disturbing topics, she would still be captivating. But do not for a second believe that Mélanie Pain's attraction is only based solely on tenderness and cuteness. The artist who has been one of the lead vocalists in Nouvelle Vague (“New Wave”) since they started in 2004 has perfectly found her own style and musical universe as she now steps out alone. 'I have been really lucky to perform with Nouvelle Vague because the producers and I have exactly the same approach of music : freedom and spontaneity'. And after 5 years of non-stop touring with the bossa nova band, she released her first solo album, My Name in September 2009 to great success. Much praised in France, the very likely next French pop-icon's goal is now to conquer English audiences with her new album, out on 7 February. From the opening songs of the album, it is hard not to appreciate a candid and mind-blowing ballad with this almost hypnotic breathy voice (Peut-être pas (Maybe not)). Then Mélanie becomes more elusive in her famous and lively pop song "Ignore-moi". By turns sweet and bold, the artist’s catching joyful lightness radiates even when she deals with the destructiveness of some relationships (Bruises). And then the melancholic-romantic atmosphere sprightly goes on with some brilliant highlights. “Helsinki”, a heartbreaking duet between Mélanie and Julien Doré, about Long distance love, provides the richest emotions on the album. And another wonderful piece is La Cigarette, a great song which reinforces the idea that although she might not have the most powerful voice, her technique of combining her ounce of soul with a tiny pinch of folk is truly enchanting. 'What I am looking for is emotion, passion, spontaneity. I don't care about perfection'. Her passion for retro idols – it is certainly not a stretch of the imagination to see her performing Marilyn Monroe's 'poupoupidou' – and for pop rhythms and song structures give her songs an air of being the best of vintage and modern music. 'For example some of my favourite artists are Brigitte Bardot and Neil Young, because I love voices who are unique, even if sometimes they are not perfect'. Mélanie Pain perfectly avoids the trap of being too sickly sweet and soppy by subtly marrying the fresh spontaneity of her intimate vocals to her efficient musical compositions. 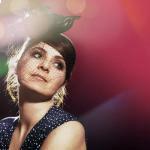 And as she mixes songs in French and English, there is no doubt Mélanie Pain will seduce English audiences as she had been doing it with Nouvelle Vague for seven years. Another brilliant discovery which complete Label Cinq7's list of great talents, with Oxmo Puccino, Saez, and naïve New Beaters. A more than welcome breath of fresh air to French music.